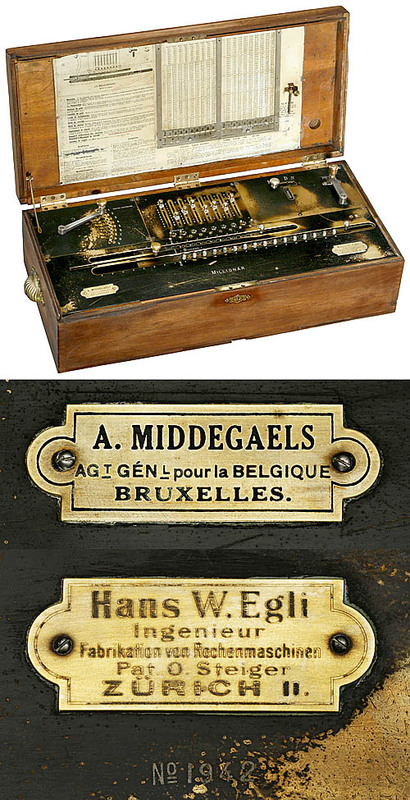 in original wooden case, with serial no. 1942. A very rare, decorative milestone in calculator history!